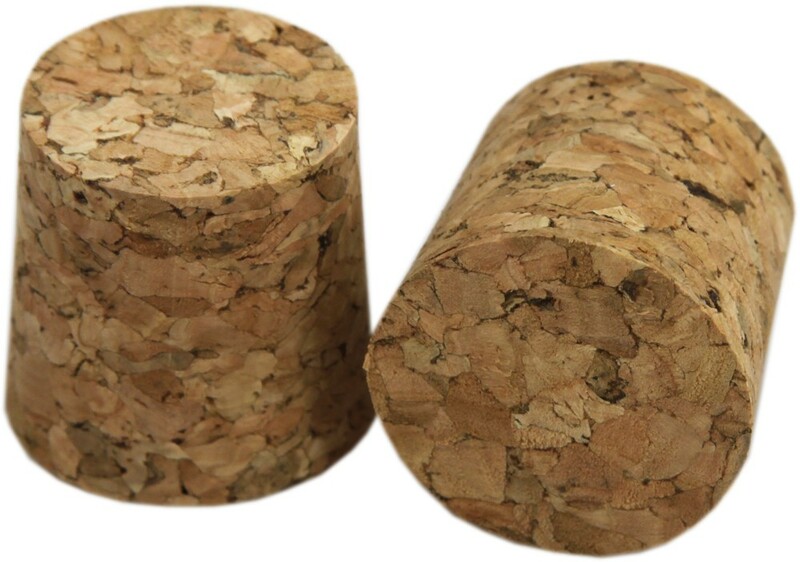 Solid cork bung that fits glass demijohns and standard wine fermenters, ideal for storing wine in bulk. A solid cork bung that seals a hole and stops anything from entering or leaving the container. This is the standard size to fit glass demijohns. These are too small for plastic demijohns. The image shows the bung at two different views, you will receive only 1 bung. The top of the cork measures 31mm, the bottom 27mm. If you plan on keeping your wine/still cider in bulk in glass demijohns. Simply push the cork into the hole for a good seal. Be careful not to push in too hard, as some jars have slightly larger openings and the cork may go in. For storage, there is also a solid bung made from rubber. If you want to put in an airlock, there are drilled (bored) versions both in cork and rubber. If you plan on storing long term (6 months+), then we advise using cork. For shorter lengths, then either cork or rubber can be used. Soak the cork for 20 minutes before first use, this will help with sealing.